Raising funds for The Brain Tumour Charity in memory of Beryl. Beryl Skippen died in August 2001, at the age of 56, after an 18-month battle with a brain tumour. Beryl lived with her husband Michael, in Oulton Broad, Suffolk, and had three children, Rachel, Alison and Robert, all of whom she encouraged, supported and cared for until she died. Beryl was an active member of the Girl Guide Association for over 40 years and, shortly before her death, was awarded a Life-Time Achievement Award. The whole family were immensely proud of her and will fondly remember her enthusiasm and enjoyment of Guiding. 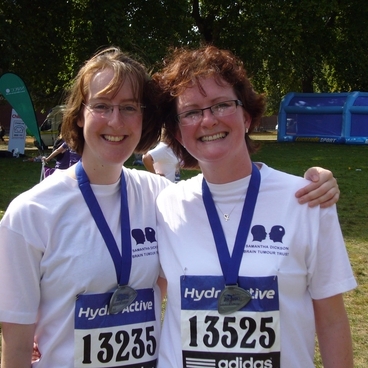 Women's Hydroactive 5km Challenge: Alison and Rachel participated in the which took place in September, in Hyde Park, London. They raised £800 and want to thank all their sponsors. 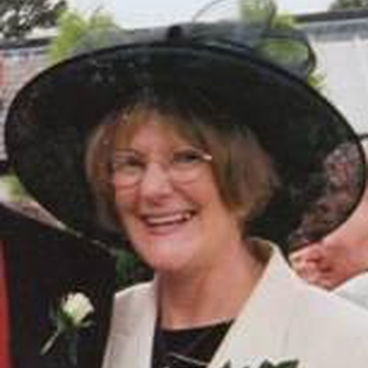 When Beryl was diagnosed with a brain tumour in December 1999, she was immediately transferred to Addenbrooke's hospital in Cambridgeshire, where she underwent surgery. This operation removed most of the tumour, but sadly showed that the tumour was of a high grade and incurable. This was devastating news but Beryl was a very determined lady and a few months later had radiotherapy when she endured four weeks of daily trips to Norwich for treatment. Initially, she responded well to the surgery and radiotherapy, and was able to continue with her Guiding activities, as well as sewing and knitting, which were all hobbies that she loved. However, symptoms such as arm and leg weakness began to appear and despite a course of chemotherapy the tumour took hold and she passed away at home with her husband and three children around her. Beryl's daughters, Alison and Rachel, decided to set up the Fund in memory of their mum, with the aim of raising money to fund brain tumour research. The hope is that this will enable more treatments to be developed for this devastating disease, so that other families in the future will have a happier outcome. Please email for any further information about The Beryl Skippen Fund.